CERSANIT g111 wall cream structure 29,7x59,8 g1 m2. CERSANIT desa grey structure 29,7x59,8 g1 m2. CERSANIT desa graphite structure 29,7x59,8 g1 m2. CERSANIT metal silver glossy border 2x60 szt. 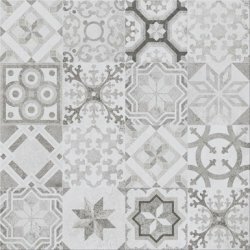 CERSANIT concrete style inserto patchwork 42x42 szt. CERSANIT concrete style inserto patchwork 20x60 szt. CERSANIT concrete style structure 20x60 g1 m2. CERSANIT concrete style grey 20x60 g1 m2. CERSANIT concrete style light grey 20x60 g1 m2. CERSANIT concrete style grey 42x42 g1 m2. CERSANIT colin anthracite 60x60 g1 m2. CERSANIT colin grey 60x60 g1 m2. CERSANIT colin light grey 60x60 g1 m2. CERSANIT colin brown 60x60 g1 m2. CERSANIT g411 grey 42x42 g1 m2. CERSANIT g411 graphite 42x42 g1 m2. CERSANIT metal silver border 2x60 szt. CERSANIT bianca super white matt 29,7x60 g1 m2. CERSANIT aprilo beige 60x60 g1 m2. 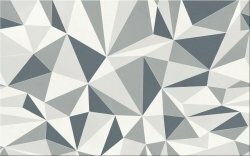 CERSANIT aprilo grey 60x60 g1 m2. CERSANIT adelle white inserto geo 25x40 szt. CERSANIT chesterwood cream 18,5x59,8 g1 m2. CERSANIT chesterwood beige 18,5x59,8 g1 m2. CERSANIT royalwood wenge 18,5x59,8 g1 m2. CERSANIT royalwood orange 18,5x59,8 g1 m2. CERSANIT royalwood cream 18,5x59,8 g1 m2. CERSANIT royalwood brown 18,5x59,8 g1 m2. CERSANIT royalwood beige 18,5x59,8 g1 m2. CERSANIT finwood white 18,5x59,8 g1 m2. CERSANIT finwood wenge 18,5x59,8 g1 m2. CERSANIT finwood ochra 18,5x59,8 g1 m2. CERSANIT finwood brown 18,5x59,8 g1 m2. CERSANIT sandwood white 18,5x59,8 g1 m2. CERSANIT sandwood cream 18,5x59,8 g1 m2. CERSANIT sandwood brown 18,5x59,8 g1 m2. CERSANIT sandwood beige 18,5x59,8 g1 m2. CERSANIT bianca super white matt 29x59,3 g1 m2. CERSANIT tuka multicolour small dots inserto flower 29,7x60 szt. CERSANIT tuka waves microstructure small dots 29,7x60 g1 m2. CERSANIT tuka white microstructure small dots 29,7x60 g1 m2. CERSANIT nature green inserto leaf 29,7x60 szt. CERSANIT nature green inserto velvet b 29,7x60 szt. CERSANIT nature green inserto velvet a 29,7x60 szt. CERSANIT ps500 wood brown satin structure 29,7x60 g1 m2. CERSANIT ps500 wood brown satin 29,7x60 g1 m2. CERSANIT ps500 white glossy structure 29,7x60 g1 m2.